The two main groups of lymphoma in humans are Hodgkin's Disease (characterized by the growth of Reed-Sternberg cells in the cancer) and the Non-Hodgkin's Lymphomas. Lymphoma is a broad term encompassing a variety of cancers of the lymphatic system. The lymphatic system helps filter out bacteria and is important in fighting disease. Every so often, the lymph vessels widen into lymph nodes. Most of us have felt these under our arms or neck when suffering an infection. In lymphoma, some of the cells in the lymph system multiply uncontrollably - if all the cells are the same they are called malignant or cancerous. Lymphoma is differentiated by the type of cell that multiplies and how the cancer presents itself. 53,370 Americans (28,850 men and 25,520 women) were expected to be diagnosed with non-Hodgkin’s lymphoma in the US in 2004 and about 7,880 new cases of Hodgkin's disease. Hodgkin's lymphoma affects women somewhat less often than men. Of the 7,880 new cases, about 3,550 occurred in women, and 4,330 in men. Since the early 1970s, incidence rates for non-Hodgkin’s lymphoma have nearly doubled. Incidence rates for Hodgkin’s disease have declined slightly over the same time period, especially among the elderly. The rise of AIDS has also contributed to the number of people diagnosed as their immune system is weakened enough to get a number of illnesses. Lymphoma is a serious condition. Lymphoma has indeterminate symptoms so it is sometimes hard to diagnose. Unfortunately, other medical problems often appear as lymphoma symptoms (infections and "Cat Scratch Fever" are two). For legal reasons we only suggest the remedies listed here are for cancer support. We do not claim any remedies are a cure for cancer. To view all of the recommended products / overviews in the online shop Click Here but please do read this article in full. Please also see our Dietary Guidelines article, as there are common every day things you may take for granted that can limit your chance of recovery. There are a tremendous number of nutritional remedies / protocols that have helped individuals in the battle with cancer. In fact, if one goes into the subject one can be bewildered by the plethora of remedies, diets and methods suggested. It is against this background, that over many years we have kept an open mind for the best possible solutions to emerge. The criteria for such solutions is that they are easily obtainable, not excessively expensive, have been demonstrated to be effective on people (called in vivo, not just in the laboratory - ‘in the test tube’ referred to in ‘vitro’). This effectiveness can really only be demonstrated by simple trials where a group of persons suffering from cancer are all given the same remedy and after months and preferably years their condition is assessed. Also, a variety of cancers and degrees of progress of the disease, right up to stage 4 and 5 in the group of patients tested, would give a clearer indication as to the effectiveness of a remedy. It is rare to obtain such results for non-pharmaceutical remedies as the lack of organisation and finance of therapists providing ‘natural’ solutions. Also you will not get the so called ‘double-blind’ trial, with natural remedies as the persons delivering these treatments, believing in the effectiveness of the remedies, do not have the heart to take two groups of sufferers, and not reveal which group will be receiving the remedy, hence condemning one group to a higher mortality rate. Besides this, remedies such as Alka-Vita and Organic Germanium, in most cases quickly remove pain and improve the mental and physical state of the patient; no therapist with any compassion is going to pander to the straight jacket of a double blind trial. The reality is that a very high percentage of people with advanced stage 4 or 5 cancer will succumb to the disease. If even a small proportion of these can be relieved of suffering and even better turned around to regain full health then double blind or not, the remedy is a valuable tool. It also helps if the ‘natural’ remedy has a means of helping overcome the disease in a way that is understandable and backed by scientific research. Cancer has been very well researched by many eminent scientists, but unfortunately it does seem that the bulk of this information has not been taken up by the Pharmaceutical companies or the Health Services who work primarily from the same outlook. For example, Dr. Otto Warburg received the Nobel prize as far back as 1931, for clearly demonstrating that Oxygen deficiency at a cellular level is a primary condition for cells to turn to a more primitive life form, i.e. cancer. This work was followed on and confirmed by other scientists in Germany just prior to World War 2, including Dr Seeger at the department for cyto and virology of the Robert-Kock institute of Berlin. He demonstrated in around 1938, that in cases of cancer, oxygen from the blood was not effectively combining with the hydrogen in food substrate; in other words, hydrogen can no longer be combusted (combined with oxygen.) The positively charged hydrogen accumulates in the cells and forces the cell to cover its energy demand by fermentation, (converting sugar to lactic acid) instead of obtaining energy from oxygen and hydrogen combining. When this happens, the cells are converted to cancer cells. At the same time he found that there is a reduction of cell mitochondria, (the microscopic entities in each cell that enable cells to take in oxygen). This was confirmed 6 months later by Nobel prize winner Prof V Euler of Stockholm. From this understanding of the importance of cellular respiration, was born the development of nutritional strategies to rectify the pathological biochemistry that supports cancer. Further research was able to identify nutritional elements that will restore the numbers and activity of cellular Mitochondria, and hence re-establish healthy cellular respiration. It was this work that led to the development of a German product called Zell-Oxygen and more recently the enhanced Live Cell Oxygen Immunocomplex. This is a "live cell” nutritional yeast that has been grown in a high oxygen environment, causing the production of oxygen processing enzymes within the live ‘baby’ yeast cells. By taking this nutritional product, cellular respiration is improved, undermining the process of cancer. It has proved helpful in cancer support over many years including being used clinically By Prof. Dr. Serge Jurasunas in Portugal as part of a cancer treatment protocol for about 30 years. We are not aware of any clinical trials with Zell-Oxygen, and clearly its success rate as a single remedy is limited. However it usually rapidly improves the overall condition of many patients, improves immune response, and at larger doses, for example 4 or more dessert spoons daily, can offset much of the nausea and other symptoms associated with ‘chemotherapy’. 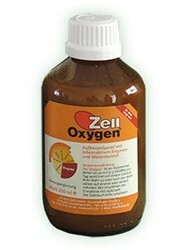 Zell-Oxygen is said to aid the detoxification process, i.e. it makes detoxification easier. Many remedies that are said to detoxify can lead to an increase in toxic burden in the body until the vitality and eliminative organs of the body are able to catch up. Zell-Oxygen on the other hand aids the detoxification ability of the body, and improves cellular function and organ function via improvement in cell respiration. To summarise the action of Zell-Oxygen, it improves the uptake of oxygen into the cells by providing enzymes that support healthy cellular respiration. In turn this will lead to the consumption of some of the toxic positively charged hydrogen contained within the cells. In turn this will move the cells that are cancerous or will later become cancerous in the direction of healthy functioning. Live Cell Immunocomplex is more potent - this is based on Zell-Oxygen with the addition of more Beta-Glucans for immune system activation and additional food state Selenium, this is an important trace-element in the battle against cancer, Immunocomplex also includes plant based anti-oxidants. So in practice the improved version of Zell, i.e. 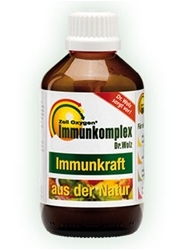 Immunocomplex is recommended. Another researcher worthy of note is Dr Kazuhiko Asai PhD, who spent much of his life devoted to finding a way to synthesise Organic Germanium from coal, and elucidating its beneficial effects. He came to the conclusion after many years of study and clinical experience, that Organic Germanium is non-toxic, and can be extremely helpful in overcoming most health disorders. This is because most health disorders have an element of oxygen deficiency. (Supplementing with liquid oxygen products, whilst they have some benefits, in the medium to long term can stress the body and overall the benefits are far inferior to Organic Germanium). He went on to state, that Organic Germanium’s main mode of operation is to release electrons that latch on to the un-burnt positively charged hydrogen (or toxic dust as he calls it), that is resident in the blood and all cells of the body. This then causes the hydrogen to combine with oxygen and be released from the body as water. Germanium also has the ability to quickly absorb damaging positive charges (the basis of free-radicals) and discharge them from the body. Whereas Zell-Oxygen is enzyme therapy to help the cells use oxygen, Organic Germanium, according to Dr Asai, helps conserve oxygen in the tissues and it does this electronically. The complexion (e.g. from a pale colour) rapidly improves, as does the disposition of the patient. In most cases pain from cancer is rapidly reduced when taking Organic Germanium, although sometimes up to 4 grams may be required, according to Dr. Asai. Dr Asai suggests in his book "Miracle Cure - Organic Germanium" that in most cases, metastasis can be prevented by taking Germanium, and indeed cured himself of throat cancer with Germanium. He also quotes many recoveries from cancer in his book. Sadly we do not have clinical trials or significant data of the success rate of Organic Germanium at our disposal in helping to win the battle against cancer. However, after reading his book, taking Germanium, and seeing its action on our own customers, we are drawn to the conclusion that Organic Germanium is indeed a very potent remedy, and works in a way to undermine the basis of cancer as elucidated by Warberg, Seeger and others. Germanium works in a different way to the supply of respiratory enzymes as in the case of Zell-Oxygen. Zell-Oxygen works to improve cellular uptake of oxygen, whereas Organic Germanium immediately and directly, works electronically (at the heart of the process), to eliminate positive Hydrogen radicals and conserve oxygen within the blood and tissues. By combining these two approaches it is logical to assume that we are providing more all round support in the battle against cancer, or at a very least providing support to the patient, who may be utilising other therapies. In some ways Vitalyza3 is similar to Organic Germanium, in that it is a semi-conductor and electron donator please see our article Vitalyza for a fuller discussion. This means it is a ‘mother’ anti-oxidant and as such is a potent free-radical neutraliser. It also helps to detoxify and improve tissue oxygenation. Further more it is a very potent alkaliser, and hence fulfills a number of important roles in cancer management, improving the chances of a successful outcome. It is cost effective and easy to take (Intensive use 40 drops daily in at least half a pint of water). 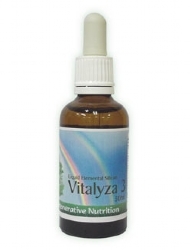 It will help complement the action of Organic Germanium, and need not increase the total cost of the selected remedies as the dosage of the Organic Germanium can be reduced somewhat due to their mutually enhancing action.Vitalyza3 helps with tissue and cell pH, i.e. it helps eliminate acidity and associated toxins so is recommended along side Organic Germanium. 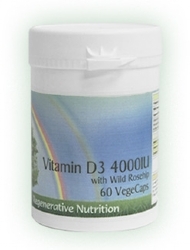 There have been successes using Vitalyza3 alone (see main article on Vitalyza3). It does provide a small amount of silicon so may have a minor role in supporting the collagen integrity, this can help protect against metastasis, however for this and other aspects we whole-heartedly recommend Organic Silicon G5. 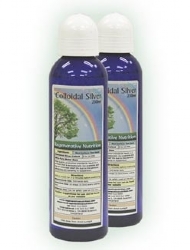 Adding colloidal minerals to germanium (available in capsule form) combines the benefits of Organic Germanium with Colloidal minerals in the form of Para-magnetic minerals and trace elements, (Superbiomin) The energy of the colloidal minerals is potentated by the Germanium. This makes the effect quite enegising (In terms of stimulating metabolic activity) This can be felt as a little strong by sensitive and delicate individuals, but can be adapted to by the majority of sensitive individuals within a viable time, e.g a week or two. Organic Germanium is also supplied without Colloidal minerals for sensitive and delicate types so that the dose of germanium can be raised more quickly. One they have adapted to the Germanium without colloidal minerals, then the more potent formulation that includes the colloidal minerals can be tried. Heavy metals, fungicides, pesticides and other organic poisons are thought to be one of the original causes of failure of cellular respiration by the German researchers in 1930’s. Additionally, it has been found that people who have received Chelation therapy are 9 times less likely to subsequently develop cancer than the general population! The combination of Organic Germanium, Organic Silicon G5 and Vitalyza3 will also act as a chelating agent. A recently published article from the University of Zurich in Switzerland reported an 18-year follow-up of a group of 56 Chelation therapy patients. When comparing the death rate from cancer with that of a control group of patients who did not receive Chelation therapy, the authors found that patients who received EDTA Chelation therapy had a 90% reduction of cancer deaths. Epidemiologists from the University of Zurich reviewed the data and found no fault with the reported facts or the conclusions. About 100 years ago, a British embryologist John Beard, started the research concerning the use of protein digesting enzymes and the treatment of cancer. He had some success using enzymes taken from the pancreas of young animals. He injected them into his patients and achieved some good results, but there were side effects form the immunological reactions of injecting components of raw pancreas into the blood stream. He was later followed by Kelly who treated thousands of cancer patients and claimed very high success rates. Today enzymes are produced, by in large using bacteria, their activity units are measured meaning stronger and more effective enzyme blends are now available. Using large amounts of activity units of enzymes to treat advanced cancers requires clinical supervision. Toxins released from the tumors break down, when there are large, or many tumors present, these toxins are a possible danger to the patient, therefore this break down should only be achieved at the rate the system is able to detoxify them. For this reason, we recommend enzyme therapy at lower doses than generally used to try and dissolve tumors, but at a dosage level sufficient to (a) Balance the immune system, (b) Reduce inflammation, and (c) help the immune system to absorb any dead or dying cancer cells. It is safer to allow as many cells as possible to revert back to normal once cellular alkalinity is re-established, rather than having to deal with large amounts of broken down cancer cells and eliminate them from the body with organs already weakened by the disease and especially by chemotherapy. It is therefore sensible to combine a low to moderate enzyme dose between meals in conjunction with the other nutritional remedies listed. Multi-Enzyme Protect is a high potency enzyme supplement that is suitable for enzyme therapy. Prof. Wolf continued the study of these wonderful biological agents, (mainly protein digesting enzymes). He noticed that by using purified mixtures of enzymes there were no risks of frequent allergic reactions. Each cancer cell has on the surface of its membrane, specific antigens. It is naturally ideal when the body can recognize these markers by being released from the fibrin, because the cancer cell can be destroyed after this. Although the cancer cell is destroyed however, the antigen remains. By means of a change in its membrane, the cancer cell can sometimes throw off its antigen. It seems that cancer cells do this, so that our defenses go in the wrong direction. Regrettably, this trick really works. If the number of formed immune complexes is kept within the normal limits and our defenses are all right, then our macrophages can embrace and dissolve these immune complexes. If the number of immune complexes is superior to the strength of the macrophages, then some immune complexes remain un-dissolved in the blood, as well as in the lymph. The immune complexes can weaken the body's defenses in another way. Too many immune complexes inhibit the activity of the macrophages, which are the main destroyers of the cancer cells. Their capacity to destroy and to clean out the system is paralyzed. Thus cancer cells can grow without being bothered by macrophages. What the enzymes do to help, is to discover the receptors. Enzymes also facilitate the reaction of recognition. Another important action is to improve immunity, by breaking the circulating immune complexes by activating the natural killer cells and the T-cells, and by inducing mediators and cytokines, such as TNF, Tumour Necrosis Factor B. Enzymes have the ability to reduce the thick fibrin layer which is abnormally 15 times thicker than normal. By reducing this fibrin layer the stickiness of the cancer cells is also diminished, and by this means we can prevent metastasis. 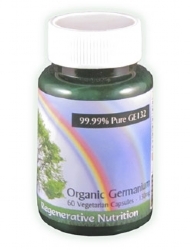 Organic Germanium - the dosage range varies quite considerably. It is non-toxic at dosages way above the maximum effective dose, and leaves the body within 24 hours of administration. Like the other suggested remedies, better results are obtained by taking divided doses over the day. Good results have been obtained in doses 300mgs to 2 or more grams daily (2,000 mgs). For persons with cancer, generally the minimum recommended dose is around 450mgs a day (1 x 150mg capsule three times a day). For those in pain from cancer, increase the dose daily until the pain is relieved. If it is not relieved significantly by about two grams a day, then Alka-Vita and Organic Silicon G5 often provide additional pain relief. Germanium instructions: For sensitive individuals, and for those that are not in the advanced stages of cancer, and who become easily over-stimulated, are hyperactive and have trouble sleeping, start at one capsule daily and gradually build up to three capsules daily. If more over-stimulation occurs and remains for more than 48 hours stop the Germanium for one day and resume at a lower dose or if only taking one capsule a day continue at this level until adaptation occurs. Try to get up to a minimum of 3 capsules daily. For advanced cases (stage 4 or 5) and even more so those undergoing ‘chemotherapy’ higher doses such as one gram daily are more effective. Zell-Oxygen / Live Cell Oxygen Immunocomplex - The typical daily maintenance dose is two dessertspoons, but for intensive use and generally for those suffering from cancer 4 dessertspoons is more appropriate. Very sensitive or fiery individuals may have to build the dose slowly If undergoing chemotherapy or if immune system is very underactive, then 6 dessertspoons daily is more appropriate. Vitalyza3 is convenient to take. Simply add drops to water or juice. Maintenance use is 20 drops daily and intensive use, to help win he battle against disease, is 40 drops daily. Ideally it should be spread out over the day. Example, if drinking 4 glasses of water daily add ten drops to each glass. Unlike Organic Germanium, 40 drops daily can be used from the start, even for sensitive individuals, although there may be exceptions. As with any nutritional support some individuals will need to introduce remedies incrementally to slow down the rate of detoxification in certain situations. Your therapist can advise. Organic Silicon G5 - intensive use is 90 mls, i.e 9 dessertspoons daily. This should be taken in three doses over the day, one of the doses can be taken on retiring as it can aid sleep. Maintenance use is 30 mls or 3 dessertspoons daily. This can be taken as a single dose on retiring for example. The higher doses often produce a feeling of tiredness as the body heals itself, this feeling eventually disappears. If the Internal organs need support such as the liver, kidneys or pancreas, then the higher doses may be more appropriate. It will help detoxification without stressing the body at all and help the elimination process. This is one of the reasons why Organic Silicon is such a valuable remedy. Some nutritional remedies can bring out toxins from within the tissues placing a burden on the organs of elimination and detoxification. At times this can be undesirable. This should preferably include protein digesting enyzmes such as Protease and also Serrapeptase These are both contained in our new Multi-Enzyme Protect If taken with food these will help the digestion of food but act less on the immune system etc. To help the immune system, take doses between meals and on an empty stomach, for example; 2 capsules three times a day on an empty stomach. People who have Gastritis or Gastric or Duodenal Ulcers may experience a burning sensation when taking Protease. Some persons may also experience nausea if taking Protease, either on its own or as one ingredient in a multi-enzyme product. In such cases do not take on empty stomach, but try with food. Also in these situations Serrapeptase as a single enzyme remedy, is especially valuable. This must be taken on an empty stomach and will not produce nausea or burning. It helps the immune system keep a balance, helps eliminate inflammation, and helps to break down old, dead proteins, and thin out mucous and the lymph fluid. If there is swelling in the lymph nodes and ducts and general lymphatic congestion Serrapeptase will help with this, especially if used in conjunction with Organic G5 Silicon. However a combination of high potency enzymes as discussed in the article Multi-Enzyme Protect, Introducing enzymes is more effective than Serrapeptase alone. As each patient is different, it is not always good practice to start on all remedies, especially at full dose at once. It would seem wise to start with one to 3 remedies, (if there is pain then the first remedy or combination of remedies should be selected from; Germanium, Alka-Vita, Organic Silicon G5), and then after a period of time, dependant on the individual, increase the dose to a certain level before introducing the next remedy and so on. For example, when introducing protein digesting enzymes, there may be nausea, if these had been introduced at the same time as other remedies this may put the person off taking any remedies. Due to the detoxification induced by the remedies, the process should not be too fast, (Zell-Oxygen or Live Cell Oxygen Immunocomplex, also Organic Silicon G5 can aid detoxification process, rather than just dig out more toxins for the body to process), but a gradual stepping up process. There are exceptions to this guide; for example, when the patient is either undergoing ‘chemotherapy’, when the body will ‘soak-up’ remedies and larger doses of remedies are required, and these will off set the negative effects of ‘chemotherapy’ such as nausea and general organ and immune system destruction, or for patients who have received chemotherapy and or radiation therapy in the past and the immune system is functioning at a very low level. While using self treatment as cancer support, a person with experience of remedy reaction (therapist) is advisable to guide one through the process, but if no such person is available, then one is advised to proceed with one remedy at a time and add the next one in when adapted to the previous one. (We also offer a telephone help line with any queries you may have). Please also incorporate suggestions for hyper-sensitive individuals given above. Start with Live Cell Oxygen Immunocomplex at 2 to 4 dessertspoons daily taken either at one dose once a day or preferably split into two daily doses, either just at the start of a meal or on an empty stomach. The following day, introduce enzyme therapy at two capsules three times a day. Enzyme therapy is very unlikely to cause adaptation reactions, it tends to take stress out of the immune system so can be introduced from the start of the protocol. After about a week and if adapted to the Immunocomplex (or after about three days if there are no obvious reactions to the immunocomplex) add the next remedy, e.g. Alka-Vita at 40 drops daily. Organic Silicon G5 may be added within a few days, at a minimum of 30mls daily or build quickly to 90mls daily if desired. Organic Germanium may then be introduced after a suitable period depending on the adaptation reactions of the person. If you are unsure of the way to interpret reactions contact a suitable therapist who knows about remedy reaction also read the article Adapting to the Regenerative Process. 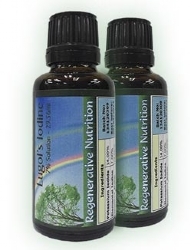 With Organic Germanium, build the dose to at least 1x 150 mg capsules 3 times a day. (2) If pain is an issue; work with Germanium, Alka-Vita (Vitalyza3) and Organic Silicon G5. Start immediately with 1 capsule of Organic Germanium 3 times a day. If this does not resolve pain to a great degree within the first day, then double the dose. If it is not relieved significantly by the following day, also use 40 drops Alka-Vita daily. Then the following day add in Organic G5 Silicon orally at least 30mls twice a day, and the gel may be applied externally. If there is pain or a problem area that is not near the surface, e.g the liver, the gel may still be applied in the problem area, e.g. in the liver area. Please note: example of remedy use is only intended as a rough guide, individuals have different needs concerning their tolerance to the detoxification process and the rate at which remedies can be introduced. Help and guidance should be obtained from a person with experience in nutritional therapy and adaptation reactions, telephone and email support is available. Drink plenty of water to facilitate the changes and detoxification your body will be going through. Water must absolutely not contain any chlorine, it should be well filtered or still spring or mineral water, osmotically filtered water and distilled water may be used. For water to have the best effect it needs to contain the correct energy and energetic mineral information. The best energy for water is, I believe, sun energy. Place a glass container with your non-chlorine water in the sun on the ground (not on grass) If this is not possible place on a window ledge, in or, preferably, outdoors to catch whatever light is available from dull grey light up to full sunlight, preferably for several hours before consuming. The best method is to sun-charge water all day, then pour into a glass jug and place indoors (away from electrical equipment or outlets) for drinking the next day and so on. Adding moderate amounts of Ionic minerals will further enhance its effects. Add a 5ml medicinal teaspoon of sea water concentrate - Ionic Liquid Minerals and Trace Elements to a glass of water. This may be taken once or twice daily, with or without sun energisation. If you are near the sea and can obtain some clean sea water, then so much the better, use from 2 dessert spoons of actual seawater up to maximum of 100mls fresh seawater daily. This should be diluted into your entire day’s water, e.g. a minimum of one pint, but preferably two pints daily. Actual sea water thus taken is a powerful therapy, partly because of the sun-energisation, and will promote detoxification. As with any powerful therapy reduce the amounts taken or take days off it the effect seems too powerful for the adaptation levels of the person. Again, please see Adapting to the Regenerative Process. Sea Greens - sea weeds are the most concentrated source of food state minerals and trace elements, and contain a wealth of other nutrients that provides all round support for the immune system, glandular system and metabolism. They have been used extensively as natural food/remedies for thousands of years and have been especially in use in Japan and China and as part of Ayurvedic medicine. Sea weeds contain polysaccharides (apparently 5 or the 8 essential ‘sugars’ used in cell to cell communication) and a substance called fucoidan. Research in Japan demonstrated that fucoidan administered to cancer cells in a laboratory dish were virtually wiped out within 72 hours. The process by which these cells withered away was self-induced, in that the DNA within each of the cancer cells was broken down by digestive enzymes contained in the cells themselves. This process is known by the technical term "apoptosis". This does not mean that consuming regular uncooked sea weed will eliminate cancer in a high proportion of people, but there have been studies with people, that show promising results but unfortunately lack of funding has curtailed follow up studies. There is some evidence that uncooked seaweed can be helpful as part of a holistic approach to winning the battle against cancer. Evidence suggests that cooking or excessive heating of sea weeds will render this fucoidan inactive. It is interesting to note that Okinawa, Japan has the lowest cancer mortality rate in Japan where the people eat their seaweed mostly uncooked, in contrast other parts of Japan where it is used mostly in cooking. However, in general, breast cancer rates are lower in Japan than in western countries, and this may be due to seaweed consumption. A common way to obtain seaweed is via Kelp tablets. However these are not suitable as the sea weed has been heated to very high temperatures during processing. Also to continually take high doses of dried kelp, in some individuals may lead towards an over-active thyroid. Both these issues are overcome with the introduction of the seaweed product in capsules called Sea Greens. This product has been gently heated just above blood heat at 40 C, hence preserving the valuable enzymes and fucoidan activity. It also contains only about ¼ the iodine content of typical sea weeds such as kelp so may be taken indefinitely at a moderate dose such as 3 capsules twice daily. 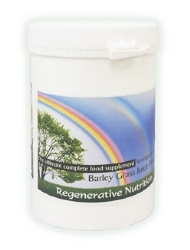 Barley Grass Juice Powder (Please also see Multi-Green Nutrition below) - this is available as a ‘live’ product since it has been low temperature dried therefore is still enzyme rich. The expressed juice of cereal grasses, wheat and Barley have been used therapeutically, especially for cancer, by many individuals growing their own at home in trays, and in clinical situations as a main treatment for cancer. The properties of wheat and barley grass juice are virtually identical. Barley grass grown on volcanic soil until it reaches a few inches high has been found to be more concentrated in some vitamins than home grown grass, but obviously it would depend on how much sun the home grown variety had and the quality of the soil it was grown on. One of the reasons that wheat and Barley grass has helped people recover from cancer takes us back to the Work of Seeger and failure of respiratory enzymes and consequent oxygen starvation of cells, a basic cause of mutation: Barley Grass Juice Powder contains relatively large amounts of chlorophyll, this has the ability to break down poisonous carbon dioxide and release free oxygen. Both chlorophyll and haemoglobin (red blood cells) are molecularly similar. The only actual difference is that the central element in chlorophyll is magnesium and in haemoglobin it is iron. Chlorophyll therefore is able to help transport oxygen from the lungs and increase blood levels of oxygen. This completes the oxygen circuit, as Organic Germanium conserves oxygen, makes more available to cells and tissues and the special respiratory enzymes in Zell-Oxygen or Immunocomplex enable the cells to take in and react oxygen with Hydrogen radicals in the cells. In a study reported in the journal Mutation Research comparing the anticancer effect of chlorophyll to beta-carotene, and vitamins A, C and E, chlorophyll was proven to be the most effective antimutagen. Cereal grasses also contain superoxide dismutase, a powerful anti-oxidant that converts one of the most dangerous free radicals Reactive Oxygen Species (ROS), into a hydrogen peroxide molecule (which has an extra oxygen molecule to kill cancer cells) and an oxygen molecule. And finally cereal grasses contain laetrile (Vitamin B17 that is toxic to cancer cells) and selenium that helps the immune system in relation to cancer. Barley Grass Juice Powder is a convenient form of taking cereal grass juice, and as dried juice is highly concentrated (the dried grass is less concentrated). Simply mix two dessertspoons of the powder (or blend) with a pint of chlorine free water and drink on an empty stomach. Until adapted, it is probably wise to sip over the day to reduce any possible nausea that some people experience as toxins are released from the stomach. Another way of increasing oxygen uptake is to use a little raw beetroot juice (about 200 grams daily). Obtain organically grown Beetroot and extract the juice using an electric juicer. Do not heat this or the barley juice as heat above 44 C can kill enzymes. Raw beetroot juice can also be mixed with raw carrot juice for all round good raw vegetable nutrition. It takes virtually no digestive effort to absorb raw vegetable juices including Barley Juice and assimilation is easy. The nutrient value of raw juices is higher than that of cooked vegetables. Multi-Green Nutrition this provides a mixture of powerful nutrients with Barley Grass Juice Powder and Pelvetia Sea Greens being the main ingredients, and a range of others to help support the immune system. It is recommended as an elegant way to provide all-round nutritional support, and is available as a powder or capsules. If using the powder, you can add Linseed or Hemp oil with water and blend as discussed below, alternatively it can be taken conveniently as capsules three times daily. The seven-time Nobel Prize nominee, Dr. Johana Budwig, a pioneer of E.F.A research, reported success in treating heart infraction, arthritis, cancer and other common diseases with massive doses of E.F.A.'s. Budwig's research indicates that many of these killer and crippling diseases may be caused in part by our diet that includes heated vegetable oils, hydrogenated oils (found in most processed foods). According to this healing Doctor, heated and processed fats (this includes margarine) befuddle the electronic charge of the unsaturated oils, which are present in cell membranes. Budwig states that when we began to process vegetable oils in order to improve their storage ability, we unknowingly changed their E.F.A. content into trans-fats during the heating process. These E.F.A. are thus electron poor "promote the emergence of cancer.... They behave like tar, as insulators relative to the transport of electrons in living tissue”. Alternatively, "electron-rich highly unsaturated oils, (raw unheated oils, cold pressed, stored carefully and consumed directly from the bottle), increase the absorption, storage and utilization of the sun's energy". In times of worry about increased exposure to the sun's rays the E.F.A. rich oils provided by Linseed and Hemp Oil may offer us hope. In her writings about the sun's effect on the cell membrane's electrons, Budwig referred to the work of the quantum physicist Dessauer, "If it were possible to increase the concentration of solar electrons tenfold in this biological electron rich molecule, man would live to be 10,000 years old." We are not against raw saturated fats such as found in raw eggs as discussed in the article Dietary Guidelines. Raw animal fats have solvent properties on accumulated trans-fats, (as do raw cold pressed vegetable oils) and will help to remove them. These raw saturated, and poly-unsaturated fats will also help the body to deal with the detoxification process during cancer recovery. Persons lacking fat have a lower chance of making a recovery. Another beneficial source of raw fat is the avocado (these contain mainly omega 9 fats). By having a mixture of these different kinds of fats in the body, a more balanced body chemistry ensues. The first fats we consume when we are born are raw saturated fats as supplied by mother’s milk, and the bulk of the fats we have consumed for millennia have been saturated fats. So raw, saturated fats are beneficial and complement the different nutritional profile of raw poly un-saturated fats. Dr. Budwig's method is not a cure for cancer, it is always the totality of the regime and lifestyle and emotional / mental life that as a totality, give the person the best chance of staying well. For example Dr. Budwig's method only works consistently if people stay off a list of forbidden foods. Forbidden foods include refined sugar, all heated oils and fats especially heated vegetable oils (unless it says cold pressed on bottle is has been heated during manufacture) absolutely no fried foods, margarine, hydrogenated fats (as present in many processed foods), preserved meats. If the forbidden foods are introduced again, any cancer that has improved or appeared to be eliminated can quickly re-occur and overwhelm the person, and her method will not necessarily work again for that person. The reason for this is that her method is not broad-spectrum enough and does not address other important nutritional issues, such as those listed in this article. Her methods should be viewed as another aspect or piece in the jig saw of getting well and maintaining optimum health, if combined with other methods, this part of the programme will provide a valuable aspect not only of cancer management but of health in general. Unfortunately there has been much misinformation about the relation of sunlight exposure to health and we have to conclude that the source of this unbalanced approach has originated from the manufacturers of sun block creams. Studies have revealed that lack of sunlight increases the cancer rates/tendencies. Some therapists have recommended sunbathing to help recover from cancer and it can be the missing link in the chain, in a resolution of your cancer, even just from the point of view of vitamin D synthesis in the skin from sunlight exposure. However, there is more to it than that. Sunlight contains a complex mixture of visible and non-visible radiation that is good for us. All we have to do is to practice safe sunbathing by not getting burnt. This is basically achieved by sunbathing only in the period of up to two hours after sunrise or up to two hours before sunset when the UV factor is low. (At high altitude, possibly only one hour window after sunrise and prior to sun set may be safe). "So far as internal cancers are concerned, few physicians seem to have actually used sunlight therapeutically. One notable exception is the American physician Dr Zane Kime. In his book, "Sunlight Could Save Your Life” published in 1980, Dr Kime describes how he encouraged one of his patients with breast cancer to sunbathe. He took this rather unusual step following a consultation with a 41-year-old woman whose breast cancer had spread to her lungs and bones. She had already undergone a mastectomy and chemotherapy but to no avail. Dr Kime did not treat the cancer directly but instead introduced a programme to improve the general health of his patient. She was only allowed to eat whole foods, and all of the refined polyunsaturated oils and fats were removed from her diet. She was also encouraged to spend time sunbathing; and the combination of diet and sunlight seems to have achieved remarkable results. Within a few months the patient was back at work and in the years that followed there were no apparent symptoms of her metastasized cancer. Unfortunately Dr Kime did not devote much of his book to this episode, nor did he state how many years of remission his patient enjoyed” It should be noted that the good results obtained by Dr. Budwig's method involved encouraging exposure to the sun, so by combining the use of oils as discussed with the correct sun exposure we optimize the chance of recovery. Insufficient exposure to ultraviolet radiation may be an important risk factor for cancer in Western Europe and North America, according to a new study published in the prominent Cancer journal that directly contradicts official advice about sunlight. The research examined cancer mortality in the United States. Deaths from a range of cancers of the reproductive and digestive systems were approximately twice as high in New England as in the southwest, despite a diet that varies little between regions. An examination of 506 regions found a close inverse correlation between cancer mortality and levels of ultraviolet B light. The likeliest mechanism for a protective effect of sunlight is vitamin D, which is synthesized by the body in the presence of ultraviolet B. The recovery and healing of the body, plus a reduction of inflammation and improved sleep by sleeping on a bed that is correctly earthed has been well documented (Invented by Clinton Ober, go to http://www.sleeping-earthed.com/). Regenerative Nutrition hope to be able to supply the kit at a more economical price by winter 2006. The kit involves an electrically conductive material placed under the sheet one sleeps on. This material is connected with a wire that is either connected to a rod driven into the ground, or to a specially designed filter, so that it can be connected to a domestic earth pin in a wall socket. This form of therapy is highly recommended as it is surprisingly powerful in improving sleep and therefore the whole process of healing, and also calming down over active tendencies, i.e. it is very grounding. This of course is complementary (opposite) to sun energies. Electromagnetic stress built up in the body, creates the right conditions for sickness, almost universally these days due to us living in what has been aptly described as electro-smog. By sleeping earthed, much of this stressful electrical information is drained out of the body and replaced with beneficial earth electrons and energies. As mentioned above, certain herbal remedies have been used with some success in cases of cancer support, however in many instances, the body is not in a state to take the full therapeutic input of herbal remedies and more potent solutions are needed. We beleive that the protocol detailed above is the most effective approach, however, there are some additional products which may be of interest. Apricot Kernels contain "Amygdalin" (Vitamin B17). It is contained in hundreds of foods, but those particularly rich in Amygdalin have largely disappeared from our Western diet. Peoples who still eat a traditional, natural diet, have been found to be largely free from cancer. Amygdalin seems to be unique in that it directly attacks cancer cells and can certainly be added to the products previously described if required, please see the full Apricot Kernels article. We also supply Rene Caisse's Essiac Formula in concentrated liquid extract; Burdock Root, Sheeps Sorrel, Slippery Elm, Rhubarb Root. Plus potentising amounts of Kelp, Red Clover, Blessed Thistle & Watercress. It's use was first propagated in 1923 by Rene Caisse, who treated many cancer patients with Essiac Tea and it has gained a good reputation since. Essiac can be useful in some situations, but if taken along side the regime above, may prove too stimulating, thereby reducing the effect of the rest of the regime. If you have any queries on this, please do contact us. Geopathic Stress, or harmful earth radiations occur in quite a high proportion of the buildings we work or live in. Indeed research has found that cancer and other serious health issues are much more common for persons who have lived in geopathically stressed houses for considerable periods. It creates stagnant energy in the body, renders the immune system lower and can encourage constitutional diseases to manifest. Geopathic Stress can also prevent your body absorbing vitamins, minerals and trace elements from your food and supplements. It, like orgone energy, can also affect the mentality and moods of the persons so exposed to it. In cases where geopathic and/or electromagnetic stress is strong, this could stop a therapy from working, or at least weaken it. It is for this reason that it is important to address this unseen, yet powerful influence. A Life Force Generator, placed anywhere in a building will raise and improve the energy within it, and hence the occupants. Plants have been shown to grow more vigorously when under the influence of Life Force Generators. The shape of the generator also effects it’s power, as orgone is affected and concentrated by geometric shapes. The ‘7 sided power Pyramid’ has proven to be most successful in raising the beneficial energy. Please see the article Life Force Generators for more information. The supports suggested in this article are tools that can help. However we recommend that you consult with a therapist that has experience in the healing of cancer, although it may be hard to find such a person. For example, swelling usually occurs, either in various sites around the body due to toxins being released into the Lymph system, or the tumours themselves can swell as part of a resolution phase e.g. swelling of tumour then becoming softer. In some cases, tumours remain for many years but are no longer active; they stop growing and change from a malignant to a benign status. Cancer is a systemic disease, and especially in cases where there has been tumours in various locations, as the body begins to win the battle, the immune system is improving, and cellular oxygenation and pH is improving, the body will then start to detoxify. These toxins come out into the Lymph system, the blood, etc. The body uses various methods to eliminate them. This can be a difficult process and with some individuals, particularly those. who have a long history of poor diet, stress, and possibly toxic recreational or pharmaceutical drugs, can be particularly difficult. It is important at these times to have some understanding of the healing phase, as it may appear that one is losing the battle. It is important at these times to have some support from persons who are experienced with this process, or at least understand the process of detoxification. This highlights the difference between conventional treatment and ‘natural’ treatment. Conventional treatment is aimed at reducing or eliminating (i.e. through surgery) actual tumors, but pays no regard to the overall process of the efficiency of the immune system or cell-respiration for example. It must be seen that they are doing something to destroy the tumours. Natural treatment is almost diametrically opposite, as it works to improve the overall status of the persons self curative systems, during this process increased symptoms and swellings do often occur. The supplements recommended for the treatment of Hodgkin's Disease are listed below. Not all will necessarily be discussed in the article, as some may have been added after the article was posted. If a listed supplement is not mentioned within the article, or you wish to know more about any of the listed supplements, you can find out more information by clicking on that supplement below. You can also now add to your basket directly from this page.